An important feature that makes Dubai one of the most ideal places for businesses is the presence of large number of free zones in the emirate. Most of these free zones cater requirements for specific types of sectors or industries in order to provide facilities to companies in various fields. Dubai has always been a hub for modern industries and it is supporting companies of the modern world to flourish here. It is an important reason that various scientific and technological sectors have made Dubai their preferred location in UAE, Middle East and its nearby region. Dubai planned several decades ago about growth of different sectors in free zones. It is the reason that it is far ahead of other UAE emirates in this regard. 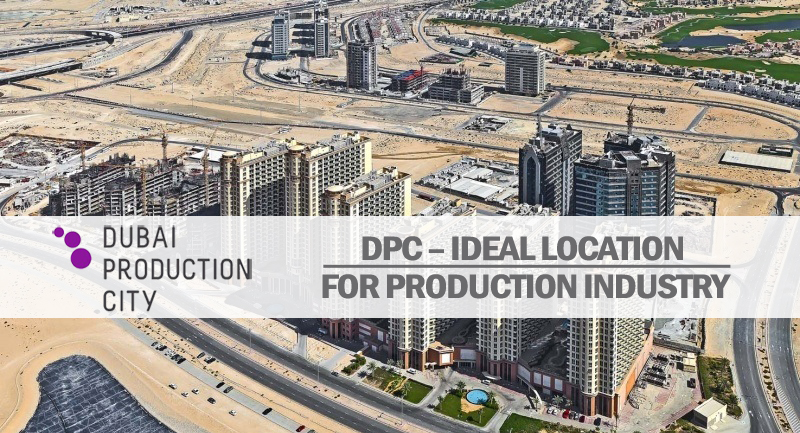 An important free zone that was established to provide facilities to media production companies in Dubai is “Dubai Production City” (DPC). DPC was founded in 2003 and it was initially given the name of International Media Production Zone (IMPZ). According to the aim of its establishment, DPC is providing opportunities and support to local and foreign companies related to media production house along with assisting the growth of publishing, printing and packaging industries (PPP). Along with providing business establishment opportunities to experienced companies, the aim of DPC is also to assist startups and freelancers in the field of media production and other related disciplines. By utilizing this opportunity, they can get experience by working alongside established companies of the field. In case of FZ-LLC, a company can be established by having a natural person as shareholder, a corporate person as shareholder or both natural and corporate persons as shareholders. The registration process and required documents are slightly different for all these companies. In case of branch of a company, both foreign and UAE-based companies are allowed to setup their presence in DPC. A freelance professional can also take advantage of DPC for professional grooming. The freelancer can conduct business here according to his birth name instead of a company or branch name. He/she will be required to submit documents accordingly. So, if you have a company related to media production, publishing, packaging or printing industry, then the best place in Dubai and UAE for your type of business is DPC (Dubai Production City). In order to make the process simple and quick, you only have to contact Riz & Mona Consultancy via our WhatsApp # 971-56-9971225 or email address [email protected] We take full responsibility of setting up your business in DPC.